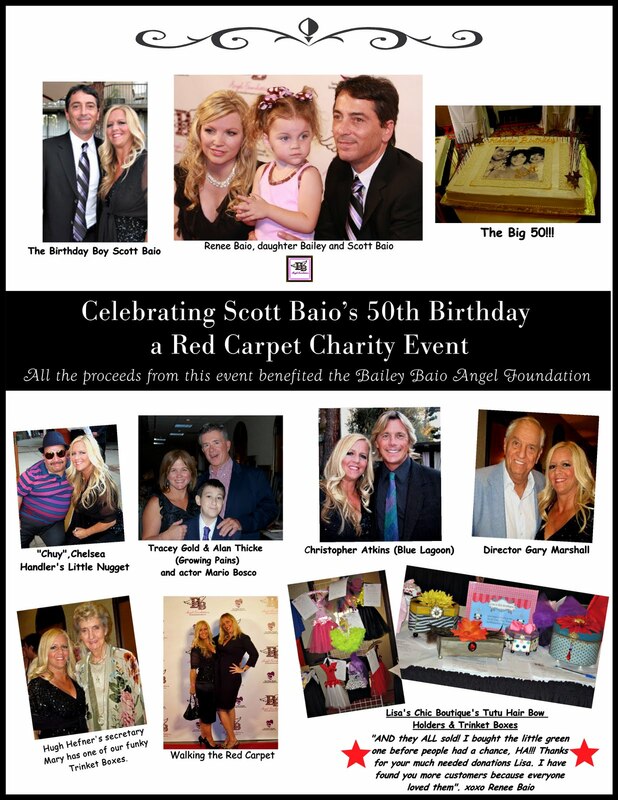 Scott Baio's 50th Birthday Red Carpet Charity Event took place at the Beverly Garland Hotel in Hollywood on September 26, with all proceeds benefiting the Bailey Baio Angel Foundation. Lisa's Chic Boutique was honored to have been asked to attend the event and have some of our specially designed one of a kind Trinket Boxes and Tutu Hair Bow Holders up for auction in which all proceeds went toward the Charity. 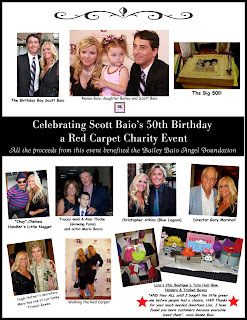 It was a fun filled event with many celebrities that attended (photos above), it was hosted by Kym Douglas (Health and Beauty Correspondent for The Ellen Degeneres Show and Good Day LA) an adorable children Fashion show produced by "Ooh la la Couture", a hilarious stand-up routine by comedian Adam Hunter (The Last Comic Standing), actor Jerry Douglas (John Abbott, “The Young and The Restless”) who performed some classic songs and lastly Director Garry Marshall told a few funny memories of Scott and the entire 230 guests sang “Happy Birthday” to Scott.